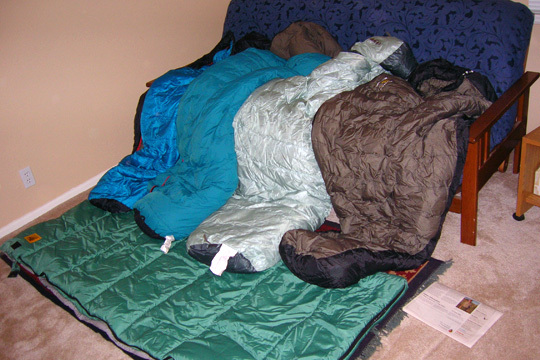 For most of the camping that our troop does (mild conditions), a 30 to 40 °F rated sleeping bag is sufficient. Do not purchase a bag rated lower than 20 °F. If you sleep “hot”, buy a 30-40 °F bag, but if you sleep “cold”, then buy the 20 °F bag. (For winter camping you can put a 40 °F bag inside a 20 °F bag giving you a very good system to sleep in temperatures below 0 °F.) The lower the temperature rating for the bag, the heavier it will be to carry. The sleeping bag you purchase should ideally weigh less than 3 pounds. The next decision is whether to use a down or a synthetic fill bag. A down sleeping bag packs much smaller, is lighter, and tends to last longer, but usually costs a lot more and loses more warmth if it is allowed to get wet. We recommend going with a synthetic bag for Scouts. WET SLEEPING BAGS ARE NOT FUN! 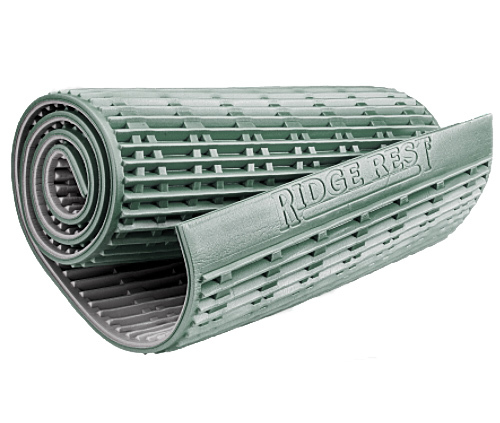 The two most popular closed cell foam pads are the Z-rest and the Ridge Rest from Therm-a-Rest with prices under $35 and weights under 1 pound. The least expensive closed cell foam pads are the baby blue pads 3/8 inches thick that cost less than $10 and weigh 8 ounces for a full-length pad. The Campmor pad is called Pack-Lite Closed Cell Foam Pad. Therm-a-Rest also makes the most popular self-inflating pads with prices from $50 to well over a $100 and weights ranging from just under a pound to over 5 pounds. We recommend the closed cell foam pads because they are lighter and less expensive while not being liable to punctures, as are the self-inflating pads. Another factor to consider is the weight of the Scout. A 65-pound Scout will not need as much padding as a 200-pound Scout. Unless you are camping in cold weather, a three-quarter length pad (48-51 inches) weighing 9-11 ounces and costing $16-30 will be adequate. To save even more weight, most Scouts do not need a 20-inch width closed cell foam pad so they can cut them down to a narrower width and/or even shorter length to save further weight. The closed cell foam pad we recommend is the Therm-a-Rest, 48-inch length Ridge Rest closed cell foam pad that weighs 9 ounces and costs about $16. Another option that is thinner is the Campmor Pack-Lite 72-inch closed cell foam pad at $8 that can be cut down to fit your Scout.